My second trip to Washington DC for this project started on a slightly sour note, in that I had caught a stomach bug from my two year old. 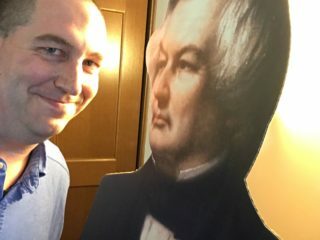 I managed to make it through the flight without any trouble, but I had little energy and even less appetite – this, coupled with a DC heat wave that started the day I arrived, meant i was operating at less than full power for quite a while. I left the diner feeling full and happy. Of course, that was before I realized my next stop was the National Museum of Health and Medicine – a fascinating place, to be sure, but a place that is also, by far, the grisliest, creepiest museum I have ever seen in my life. The museum itself is quite far off DC’s beaten path of monuments and memorials – it’s in Silver Spring, Maryland, and you have to walk a mile or so from the subway to get there. The building is, at first glance, nothing out of the ordinary, but once you step inside, look out. Where to start on this macabre trip through the human body and the horrible things that can be done to it? How about the collection of tiny fetal and infant skeletons? How about the giant swollen leg and foot showing the effects of elephantiasis? Or the brain and spinal cord, hovering in fluid? “A fragile organ,” says the information sign. So was my stomach. The extensive brain injury exhibit is full of gruesome stuff too – a typical sign reads “penetrating ice pick wound of skull and brain” – but it also has the first tie to my project. Here, in a glass jar, rests the “unsectioned” brain of one Charles Guiteau, who in 1881 shot President James Garfield in the back for refusing to appoint him to a diplomatic post in France. The president died a few months later, technically from the infections his doctors introduced into the bullet wounds, but since the bullet started him down that grisly road Guiteau is forever known as a presidential assassin. His brain is on display because it shows effects of syphilis – which can cause all kinds of irrational behavior, like, apparently, shooting a president for not appointing a guy who was, by all accounts, pretty bonkers to a post to which he was completely unqualified. The target of this irrational scheme is on hand, too – or at least his vertebrae is. 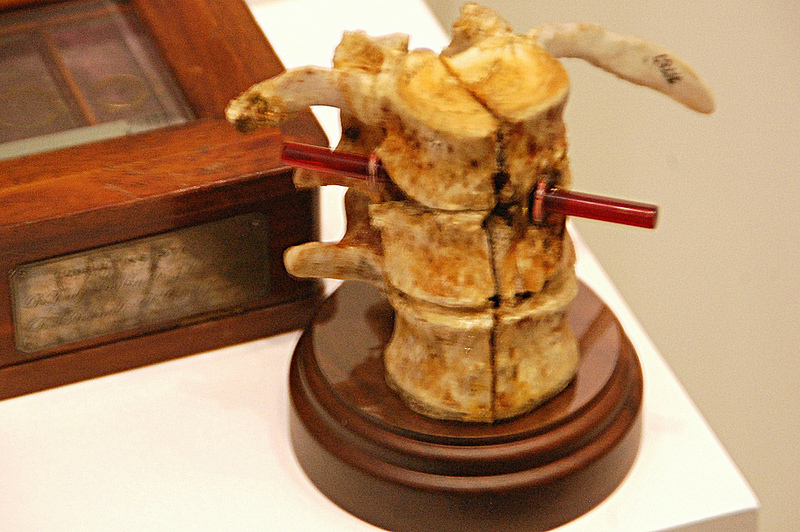 Medical examiners collected and preserved part of President Garfield’s vertebrae, and they’re here at the museum, with a red tube helpfully pointing out the trajectory of Guiteau’s bullet. Truth be told, the museum is full of bone specimens that have taken gunfire – there’s a whole wall of ’em, in fact – and this one doesn’t look any different. But then again, it’s not every day you can actually see part of a president. And that’s not the only piece you can see – arguably it’s not even the grisliest bit! 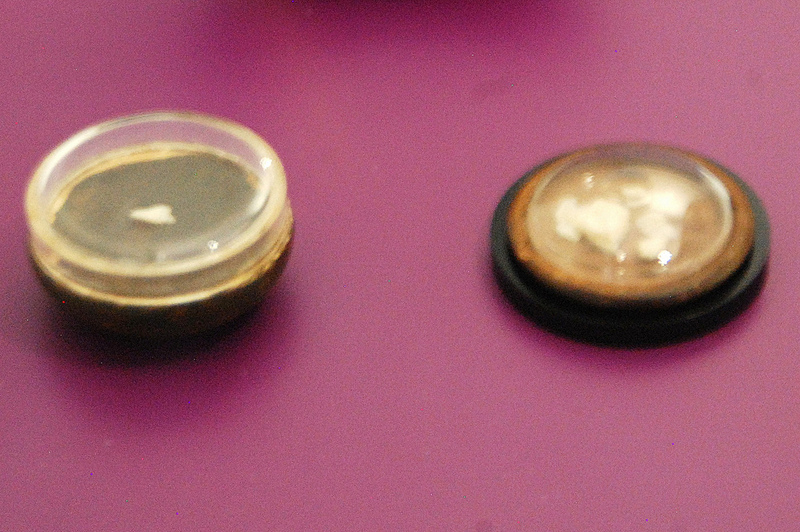 The museum also displays a small piece of Abraham Lincoln’s skull, which was found on a medical instrument after the president’s autopsy was complete, and fragments of the bullet that killed him. 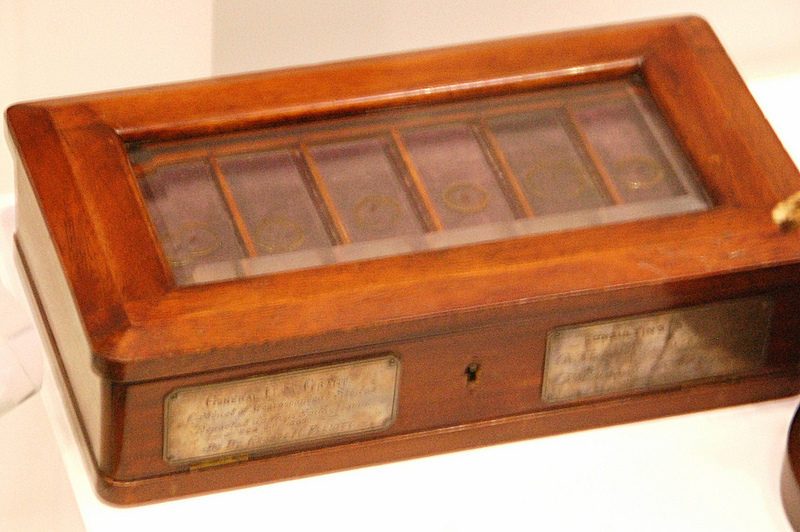 There’s also a series of slides containing samples of the tumor that killed Ulysses S. Grant (after he died, his wife, Julia, figured it might be of value to the Army). 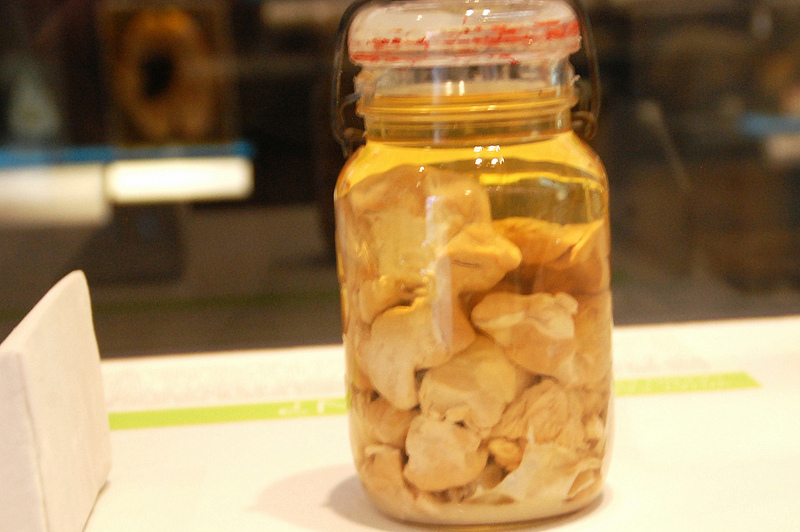 Eisenhower’s gallstones are in the museum’s collection but not on display. A fascinating but incredibly gruesome place. Needless to say, I didn’t race out for lunch after this visit.